People are now starting to appreciate the advantages that come with using kratom Vs. Gabapentin for opiate withdrawal. Originally, Gabapentin, brand name Neurontin was developed for pain relief, neuropathic pain and epilepsy treatment. Moreover, Gabapentin was created mimicking GABA’s chemical structure. Gabapentin is an effective treatment for panic disorder, social anxiety disorder, as well as generalized anxiety disorder. Findings with rat and human brain Nuclear magnetic resonance spectroscopy shows that GABA synthesis is increased by gabapentin probably by modulating the actions of glutamic acid decarboxylase, glutamate synthesizing enzyme and GABA synthetic enzyme. Gabapentin, brand name Neurontin is being tested across the world for withdrawal symptoms’ treatment related to Opiate addiction. So far, it has been proven to be an effective opiate withdrawal treatment. However, it is yet to be approved by the FDA. 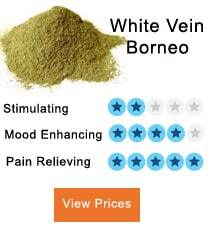 It is an effective treatment for neuropathic pain, restless leg syndrome, and postherpetic neuralgia. Nonetheless, its main use is to help in the management of Opiate addiction discontinuation symptoms. Many patients have claimed that the drug was of great help all through their drug withdrawal process. Gabapentin’s complete mechanism of action is still unknown. However, through numerous experiments, researchers have presumed that it functions by blocking calcium channels, which are voltage-gated at alpha two delta subunits. Gabapentin up-regulates GABA synthesis and targets GABA-B receptors, protein kinase C, and NMDA receptors. Gabapentin has a very high affinity for alpha two delta subunit. Alpha 2 delta two subunit closely follows Gabapentin in the affinity for alpha two deltas. These channels control calcium influx about neurons membrane depolarization. Their dysregulation leads to a migraine, neuropathic pain, epilepsy, and ataxia. Gabapentin eases the withdrawal symptoms of opiate by increasing gabapentin’s amounts in the nervous system. GABA deficiency leads to stress and anxiety. Increasing GABA levels helps manage symptoms of withdrawal including muscle tension, anxiety, convulsions, and pain. Mitragynine is the dominant alkaloid available in Kratom. It has some opioid-like activity, and researchers claim that it can help patients withdrawing from illicit narcotic use. Mitragynine has been shown to exert some level of selective receptor activity known as μ-opioid. This happens when used in moderation. There are still no clinical trials to determine the efficacy or safety of Kratom in humans. However, a wide range of laboratory data reveals some fascinating actions of the extract. Some study demonstrated both serotonergic and adrenergic actions. Other studies demonstrated actual opioid antagonistic functions. Researchers see these activities as promising means to ease narcotic dependence withdrawal. Lack of human clinical trials has forced U.S. researchers to largely depend upon foreign trials and pharmacokinetic data. One case report has shown differing Kratom actions based on daily dose. In the report, a middle-aged man was using prescribed hydromorphone doses for his chronic pain condition. Following a sudden personal life change, he was forced to cease using the drug abruptly. 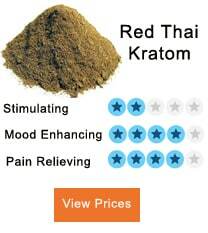 To manage the intense withdrawal symptoms, he started using Kratom four times per day. He discovered that kratom tremendously alleviated his pain without the characteristic sedation from prescription medication. Gabapentin Vs. Kratom: help in opiate withdrawal? 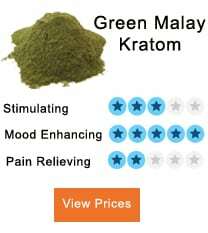 Kratom mixes with the opiate receptors to help with opiate withdrawal. This combination also helps relieve pain and anxiety. Kratom attaches to the delta, mu, and kappa receptors of the brain to minimize the severity of symptoms of opiate withdrawal. 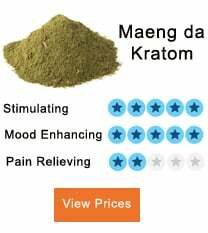 Kratom is a fractional agonist at delta receptors and supraspinal mu. It isn’t an opiate. It has the capability to interact with opioid receptors, but it doesn’t bring about long-term dependency, unlike opiates. It brings receptors back to their normal state by soothing them. Moreover, it helps return appetite to normal. 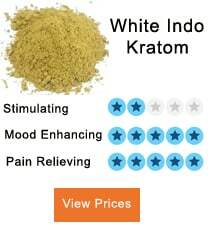 It assists reduce pain linked to withdrawal and insomnia. It also functions as an anxiolytic and uplifts mood. The right Kratom dosage can help relieve symptoms such as vomiting and nausea. On the other hand, Gabapentin helps reduce opiate detoxification symptoms. Agitation is a common symptom during the withdrawal period. This makes someone feel nervous and restless. Gabapentin increases inhibitory neurotransmission to minimize agitation. It also helps mitigate episodes of anger that are common during opiate withdrawal. It promotes sedation, reduces excitatory neurotransmission, and alleviates anxiety. Gabapentin assists reduce opiates cravings that occur later in the withdrawal process. It helps remove stress and reduces levels of depression. It also acts on the brain’s thermoregulatory action to minimize body temperature. (Body temperature rises during opiate withdrawal). Various findings have shown that Gabapentin can help with insomnia and headache. Opiate intake causes up-regulation of the brain’s opioid receptors developing tolerance in the process. This impairs the body’s ability to release enkephalins and endorphins, the neurotransmitters that source analgesia. This leads to increased sensitivity to pain during opiate detoxification. In such cases, Gabapentin helps treat neuropathic pain and increase pain threshold. Moreover, it helps reduce muscle spasms related to drugs withdrawal. It also assists with attenuating tremors. • It does not cause imminent dangerous interactions with other drugs such as clonidine, naltrexone, tramadol, methadone, and buprenorphine. It is a personal choice to use Gabapentin for opiate withdrawal. Usually, dosage amount differs from one patient to another. Most users have reported experiencing huge pain relief after using Gabapentin. According to most online reviews from users, a dosage of between 800-1200mg is enough to relieve pain. It is advisable, to begin with, a small dosage and gradually increase the dosage amount. Kratom is majorly taken in capsule form. Animal protein gelatin is used to make these capsules. Most users aren’t exactly sure about the right dosage. 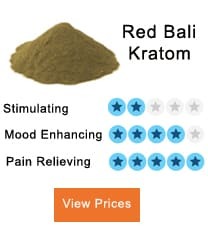 According to reviews from users online, taking kratom powder directly requires lesser dosage than taking it in capsules. Unlike its successor, pregabalin, gabapentin has low abuse potential. Also, the fact that it is available at pocket-friendly prices makes it easily accessible to people with minimalistic health insurance. Gabapentin is capable of treating co-morbid conditions including a migraine, restless leg syndrome, and rebound pain. It also has slow tolerance onset, unlike most other drugs for withdrawal symptoms alleviation. A small user percentage has reported suffering from renal toxicity, suicidal thoughts, slurred speech, and depression after using gabapentin for a long time. Others have also reported impaired motor skills, long-term neurophysical effects, and performance deterioration. Although gabapentin is yet to be approved by the FDA for opiate withdrawal management, preliminary evidence supports its detoxification usage. Does Kratom Has Effects On Your Liver?